Our country has managed to progress in a number of civil and human rights issues, however, there is still plenty of work to be done in the protection of marginalized citizens. Whether it’s protecting the rights of women, the homeless, indigenous people, immigrants, or people of color, there are numerous organizations working to ensure that all are treated fairly and equally. Although there are activists and organizers who make it their life’s work to fight injustice and inequality, there are still marginalized groups of people in need. As a result, indie-pop twin sister duo Tegan and Sara have launched a foundation aimed to fight for the rights of LGBTQ girls and women. The Tegan and Sara Foundation came into existence on Monday December 19, when the Quin sisters made an announcement on their website. They were on tour for their most recent album, Love You to Death, when they were inspired to begin an organization to fight for the economic, health and welfare of LGBTQ girls and women. During the tour, the sisters spent time reading fan letters and talking with them in person, meeting with researchers and nonprofits, and holding discussions with LGBTQ rights activists and legislators. Their experience with people who were knowledgeable about LGBTQ issues left them with a new understanding of the issues this community faces every day. “We learned that the lack of federal funding for LGBTQ services, limited training for doctors about the needs of their LGBTQ patients, and severe workplace discrimination are disproportionately affecting women,” wrote Tegan and Sara in an open letter to fans. “Most importantly, we learned that LGBTQ women and girls are feeling overwhelmingly rejected and left behind.” In addition to facing discrimination and inadequate healthcare, they also found that LGBTQ women are more likely to face poverty, while LGBTQ women of color and transgender women are more likely to come up against higher levels of discrimination due to racism and transphobia. Tegan and Sara felt especially compelled to launch this foundation in the midst of an incoming administration that has promised to repress the rights of the LGBTQ community. 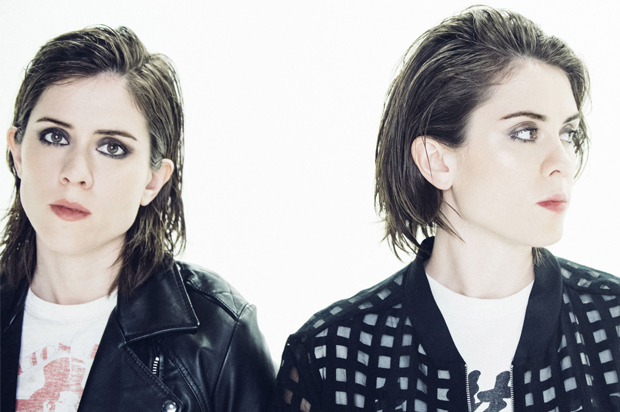 Read the full letter from Tegan and Sara here. Learn more about the Tegan and Sara Foundation here.